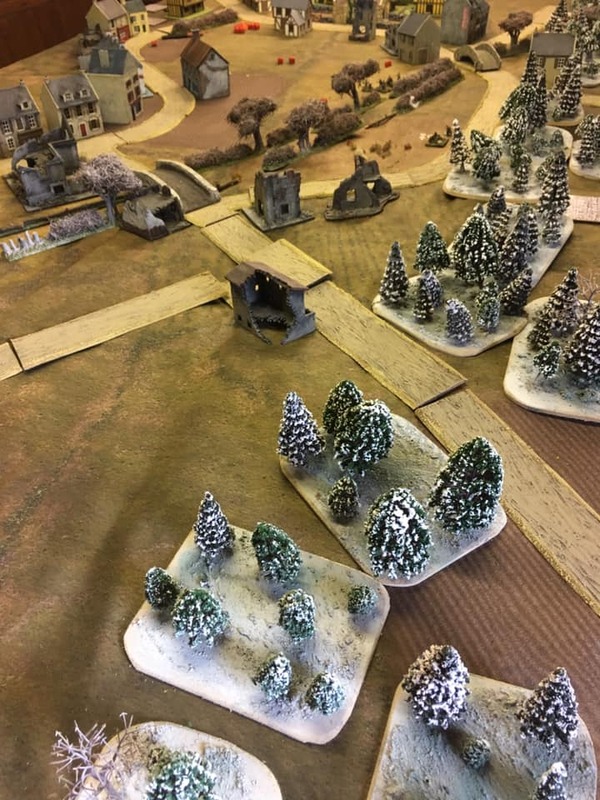 The table is set for day two of the assault on the village of Sint Joost, Part of Operation Blackcock in January 1945. Vehicles that remain on the road are those that were destroyed or immobilised during the first days fighting. They will act as an obstacle to the advance on the second day. Although the British were significantly mauled they will return with a fresh company of infantry and even more support. The war weary troops were withdrawn during the night and fresh units brought in to relieve them. Day two will also start with one big heavy stonk by the British artillery in an attempt to force the Fallschirmjägers out of the village. The British were forced to employ 141st Regiment (the Buffs) with their flame-throwing Crocodile tanks. Preceded by a heavy bombardment which intensified the dense smog around the area of the river valley troops of 9DLI took up the challenge again supported by armour from 8th Kings Irish Hussars and flamethrower tanks of 141 Regt RAC. Our game lasted three hours and about fifteen tea break cards were drawn. 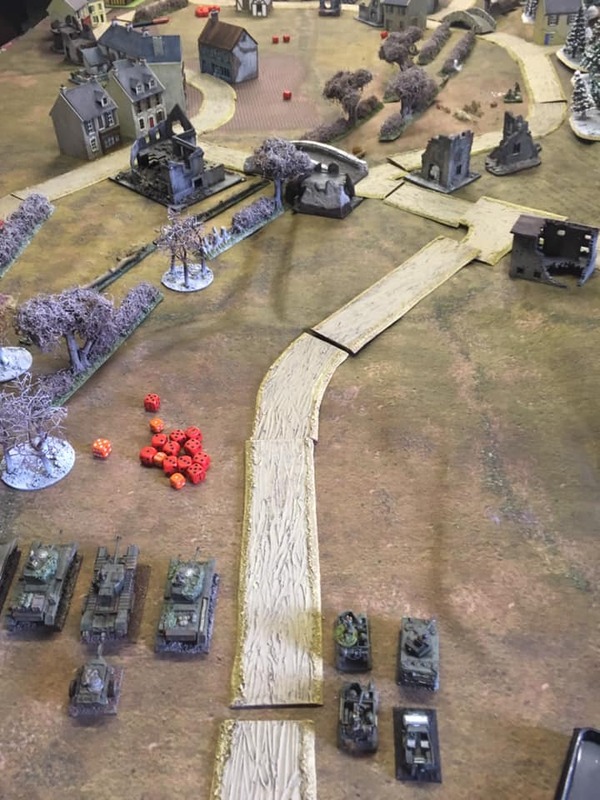 The Brits attempted a flanking movement through the east woods but encountered heavy resistance from German veterans and a continued barrage from mortar supports which lasted throughout and brought the attack to a standstill. On the centre British armour faired poorly against direct fire from assault guns and a well hidden PaK 40 in a fortified house. Unable to get their own superior mortar and artillery support Into play, they quickly crumbled. The village would last a third day it seemed.